For now, he might be known as the player that scored a championship-winning goal with a fraction of a second left on the clock. But, there’s every reason to believe there’s even more memorable moments in store for Bo Horvat. It’s every athlete’s dream: being the one to win the game with literally almost no time left on the scoreboard. In the 2013 Ontario Hockey League (OHL) championship round, it was the kid from Rodney, Ontario, a small community located about a 50-minute car drive southwest of London, who did just that. Horvat’s goal punched the London Knights’ ticket to the Memorial Cup for the second consecutive year, while earning the forward Most Valuable Player of the OHL playoffs honours. His distinguished OHL career, three seasons in all, yielded two 30-goal campaigns, and 165 points in 185 career regular season games. 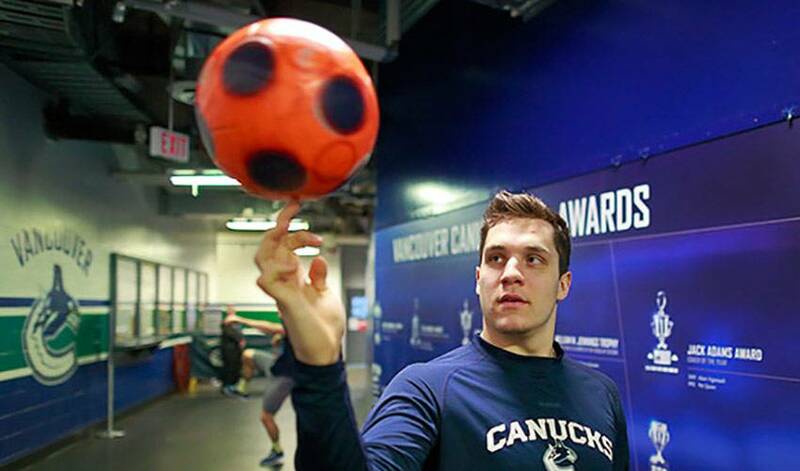 Selected ninth overall in the 2013 NHL Draft, Horvat is getting his first taste of action at the sport’s top level in 2014-15. In 49 games, he has nine goals and 18 points, while looking to play his part in landing the Canucks a playoff berth. He also has that knack for being at his best when the big games are on the line. It’s that type of clutch play Horvat wants to be known for in Vancouver. Horvat doesn’t need to be reminded as to what it will take, beyond his penchant for thriving when everything is on the line, to keep pace with the best players in the world. He has plenty of people in his corner, including his father, Tim, a former St. Thomas Stars Junior B hockey player, who got him started in hockey at the age of four, a supportive family, and the people of Rodney. And Vancouver supporters are thankful to have a player that can net the big one when the big one is on the line.